Are you ready to see ‘Sadda Haq’ performed live? No, we are not talking about the song being sung at a concert in the upcoming film Rockstar, we are talking about Jordan coming to rock on stage live! 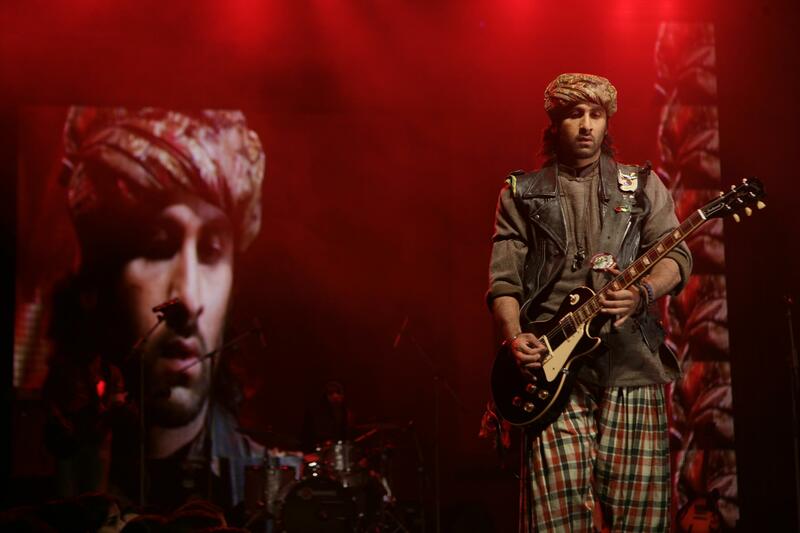 Get ready because on November 1st, The Rockstar Concert will take place in Mumbai. This is not just any rock concert because star Ranbir Kapoor and composer A R Rahman will be taking the stage. Yes, you read that right; they will be performing the music of the film live. Joining them will be director Imtiaz Ali, Nargis Fakhri, and Mohit Chauhan, who has outstandingly sung all the tracks for Ranbir’s character Jordan. This is the first time Ranbir will perform live and it is also the first time AR Rahman has performed the music of one of his films in concert! Rehearsals for the concert began this week and from what we hear Bhavan’s College grounds in Andheri is going to be rocked out with sounds of ‘Sadda Haq’, ‘Jo Bhi Main’, ‘Katiyan Karun’, ‘Nadaan Parinde’, ‘Tum Ho’ and even ‘Kun Faaya Kun’, which will have the original Qawwali singers performing the song live at the concert! For a film titled Rockstar is there a more perfect and exciting way to promote the film than with a live rock concert? We can’t think of one! Rockstar hits theaters on 11-11-11! Stay tuned because we have a special interview with the Ranbir Kapoor coming up soon!